Convert MXF camcorder video to MP4 for iPad, iPhone, PSP, to MOV for FCP, iMovie, FCE on Mac. Panasonic P2 is a professional digital recording solid-state memory storage media format introduced by Panasonic in 2004. P2 cards are mainly used in professional situation, such as conferences. The P2 card is essentially a RAID of Secure Digital (SD) memory cards with an LSI controller tightly packaged in a die-cast PC Card (formerly PCMCIA) enclosure, so data transfer rate increases as memory capacity increases. The system includes cameras, decks as drop-in replacements for Videocassette recorders (VCR), and a special 5.25-inch computer drive for random-access integration with non-linear editing systems. Wikipedia has described what P2 is and how it works. It doesn't mention that usually footages stored in P2 are in MXF format, which is strange for most nonprofessional video fans. Actually, Material eXchange Format (MXF) is a container format for professional digital video and audio media defined by a set of SMPTE standards. MXF files form P2 cards are not so compatible with Mac. Media players or Video editors run on Mac system choose their native formats, such as MOV, Mp4 and AIC (Apple InterMediate Codec). For example: QuickTime player can read MOV freely, iPhone and iPad can recognize both MOV and Mp4, iMovie supports AIC directly. So, here comes the problem: how to transfer P2 files to Mac? 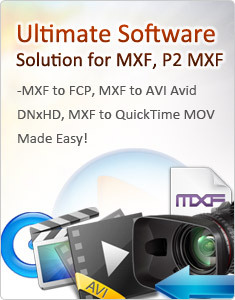 As P2 mainly stores MXF files, the question could also be: how to convert MXF to Mac? The common way is to use a video conversion tool, which will help to change the video format by re-encoding. 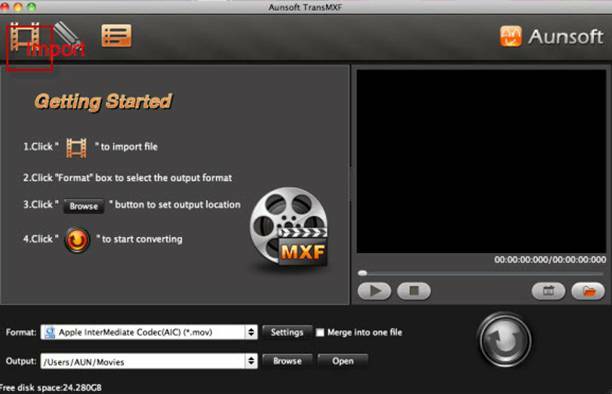 And as the best MXF converter, Aunsoft TransMXF for Mac has captured enough reliance from the users. This software is quite easy-to-manage. Following pictures will show the basic operation steps to convert P2 files to other formats for Mac. The UI has listed the main functions of this software, and follow the instruction of each button, importing files comes easily. 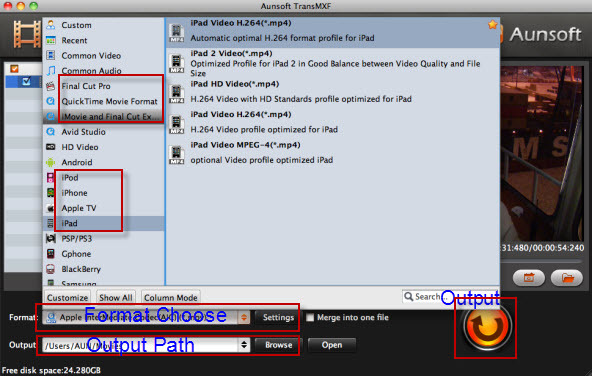 For Mac users, no matter you are using players or video editors, Aunsoft TransMXF for Mac can help to convert P2 files to correct formats. Just choose the one you want and set output path, then wait for your new movies, which will be with High quality, even the same as your original ones. Then, click the Export button. The process can be finished in much shorter time than any other such converter.